This is our final stop on Measure and Stir’s Magical Mixological Journey in the Land of the Rising Sun(tm). Thanks for reading. Tomorrow I will be posting a summary and some closing thoughts. 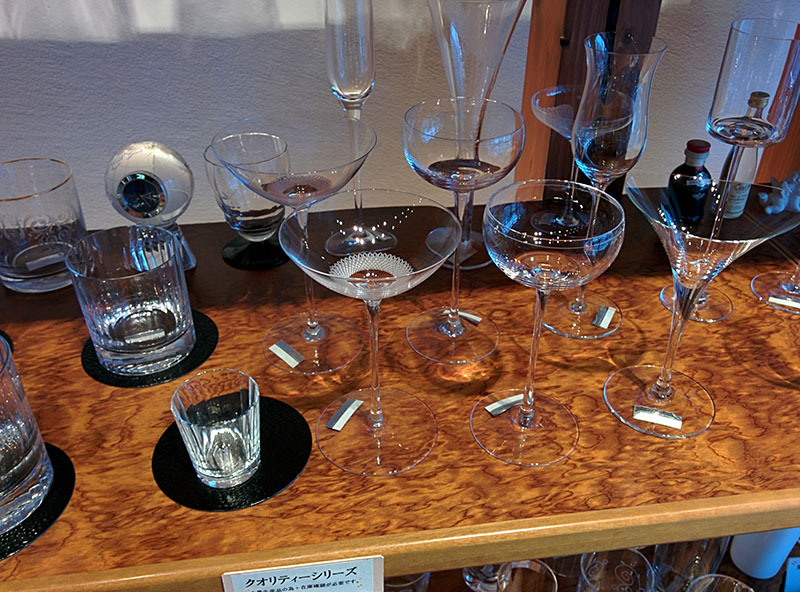 As I mentioned earlier, the glassware in Japan is top-notch. 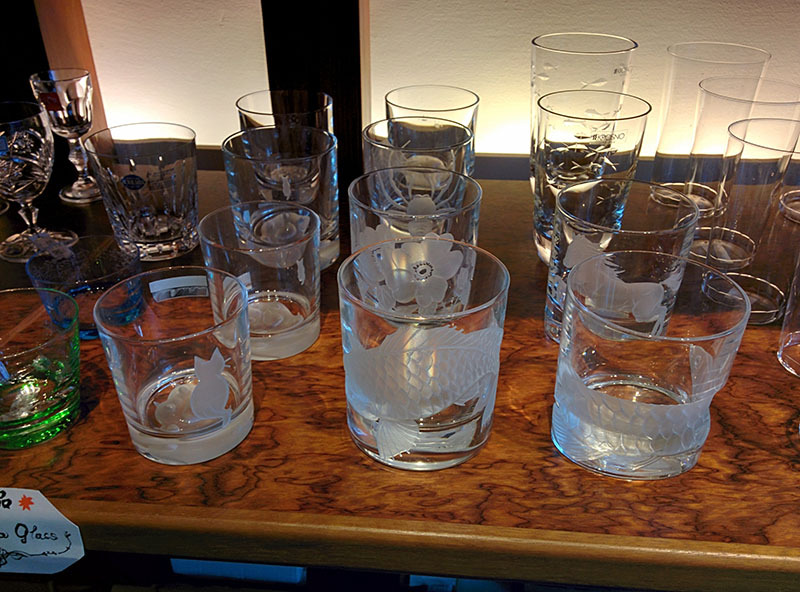 In every bar we visited, from the elegant Gen Yamamoto to the internationally renowned Tender to the unassuming Aliviar, a single name kept popping up: The Soukichi Glassware Company. A pilgrimage was in order. Located next to Asakusa station, we had a little bit of difficulty finding this one. 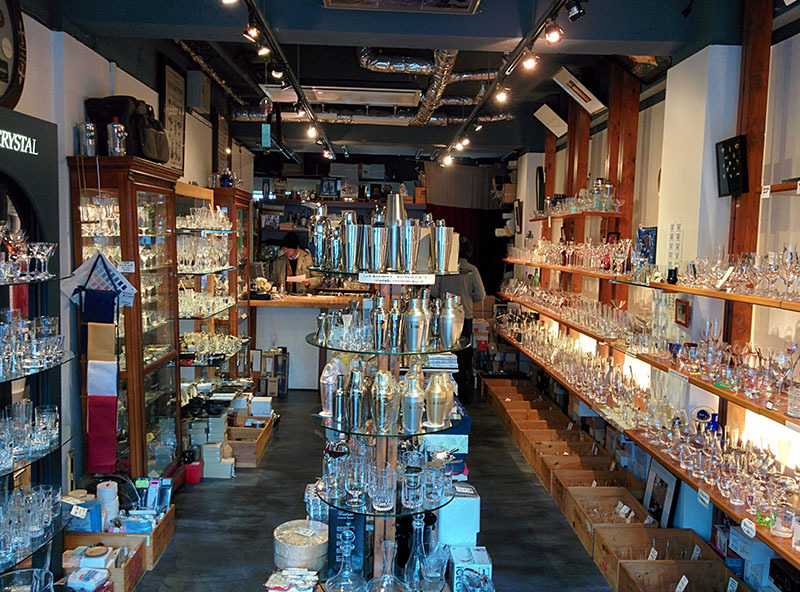 It is a very small store, easy to miss, but inside they sell the most beautiful barware I have ever seen. Isn’t that the most adorable bottle of Porfidio you’ve ever seen? 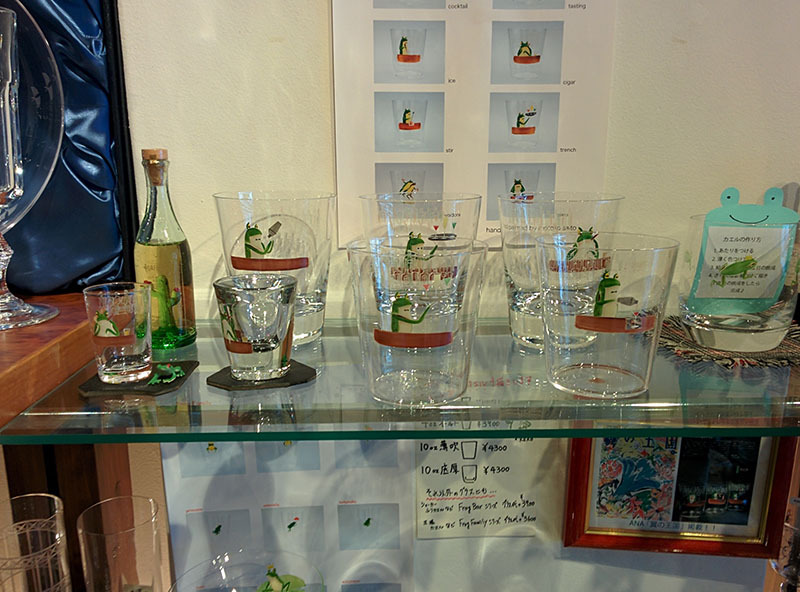 As an added bonus, Soukichi is not far from the Kappabashi-dori restaurant supply district, where you can find more affordable Japanese barware and kitchen ware, as well. It’s worth a look. 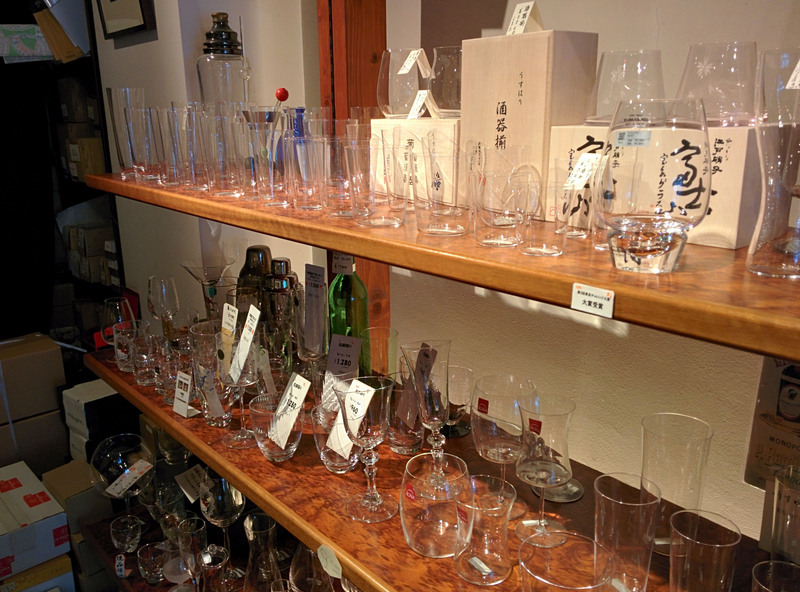 Soukichi’s high end of glasses can go over over a hundred dollars a glass, so if that pricetag intimidates you, Kappabashi-dori might be more your style, but even if you don’t buy anything, Soukichi is worth the trip for a barware enthusiast. 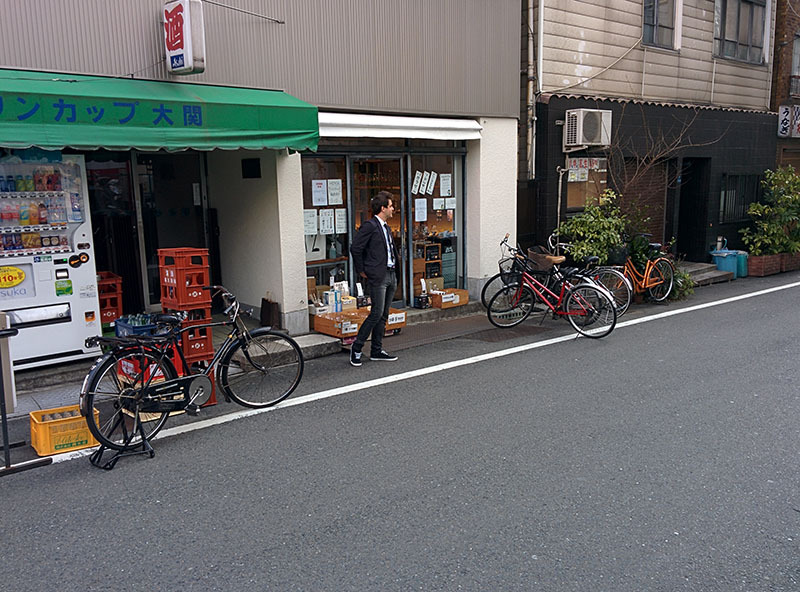 Bonus pic of my friend Tom, looking fly outside of their unassuming storefront. Categories: barware, excursions | Tags: alcohol, bartending, barware, booze, cocktail, cocktails, craft cocktails, drinking, drinks, glassware, mixed drinks, mixology, spirits, tokyo | Permalink.